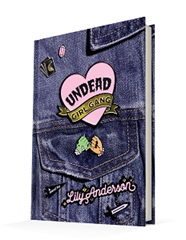 Published May 8, 2018, by Razorbill Undead Girl Gang by Lily Anderson is a fun twist with the paranormal as it intertwines with mystery. Undead Girl Gang is such a fantastic novel, and part of what makes it excellent is the representation in the novel. Mila is not just some narrator; she is – as she puts it – a fat Mexican witch. However, what she is as well is sensational! Mila is an incredible and vibrant character who seeks to discover who killed her best friend, as well as two other girls at school. She has such a strong sense of confidence, not giving a crap about what other people think of her, showing that beauty and strength come from the inside, come from confidence and not giving a crap about what other people think. That is not only a breath of fresh air as far as female narratives go but also such an empowering journey for the reader to follow. Sure, there are times when her confidence falters, but her wit and strength keeps her from falling into a pit of self-loathing. The novel is all about finding strength in sorrow, in each other and not needing a man. Of course, that is not what the novel is really about, but the fact that that lines the outer edges of the story is why the story is so compelling. The girls in the novel lived in a way that was detrimental to their self-worth, and together, even in death, they confronted those stereotypes and challenged them, they found unity together. In a way, this is a novel about girl power, but it is also a novel that looks at how people deal with grief. No one handles grief in the same way. Mila is no different. Moreover, the way Anderson combines the sadness with the humor makes the novel brilliant. It flows and has a compelling, realistic component to it that draws the reader into the plot. While it does have those stereotypes in the novel regarding the mean girls, the novel strips away at those to build character and flush out the mystery of the novel. Nothing is ever just black and white, and the novel showcases that. It allows the characters to grow while also building up this mystery of who killed these girls, a revelation that takes everyone – readers and characters – by, surprise.